The Chicago based band called the Sour Bruthers are gaining worldwide accolades from rock music purists and devotees of well-crafted organic sound. Consisting of members Tim Söur (guitar, vocals), Mikey A (guitar vocals), Bill Söur (bass, vocals), and Tony A. Lunni (drums), the Sour Bruthers’ inventiveness has turned their vision of a funky rockstar’s bag of potluck into a delightful multi-genre fusion of Americana, country rock, and progressive rock music. Their recent single Sinkin Down is a perfect example of the group’s ingenuity. Sinkin Down is filled with a nostalgic 70’s-style rock sound that is captivating to the ears. Coupled with a refreshing jolt of originality that the music industry so desperately needs, the Sour Bruthers have put together a masterful tune. This melodious blanket of ear candy is filled with soulfully-crocheted guitar riffs, an inspiring lead vocal, and an awesome array of backing instrumentation that makes Sinkin Down the perfect fix for rewind-button addiction. 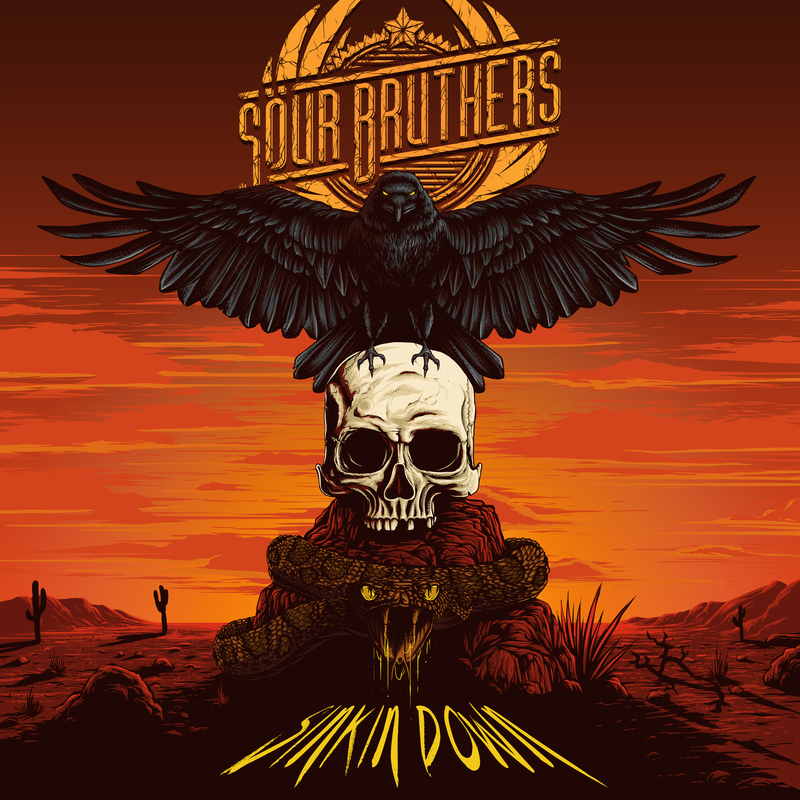 Sinkin Down by Sour Bruthers is an uplifting view of the impressions that good music makes.